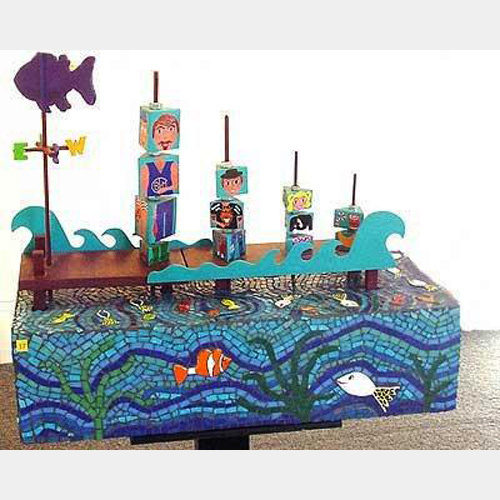 As well as her Public Sculptures Marie also creates her own smaller yet equally as wonderful single free standing sculptures. 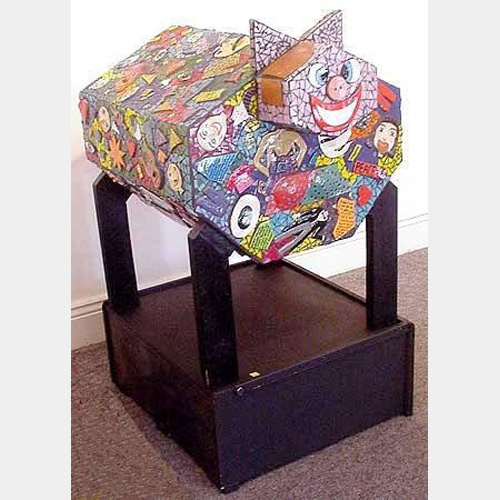 A particularly interesting one is The WAR BOAR which was created as a stand against the Iraq war, the rear end of this sculpture is not to be missed. 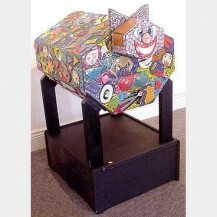 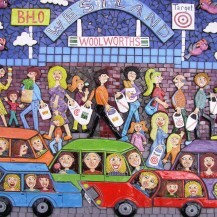 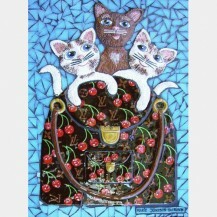 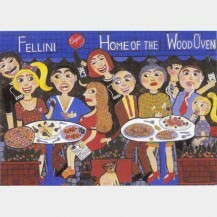 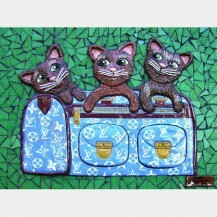 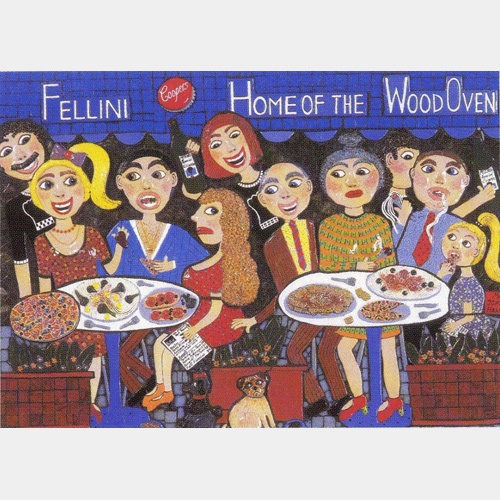 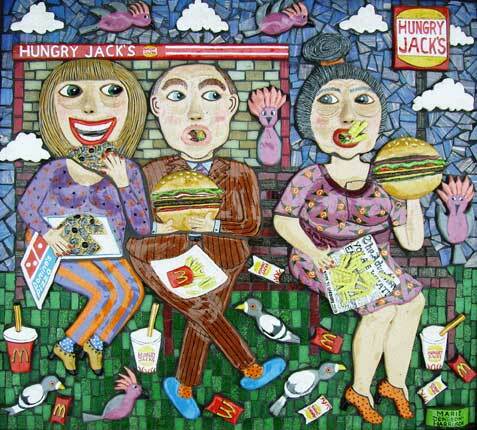 She mainly works in ceramic and Mosaic giving the works a bright robust feel, and again with the humour. 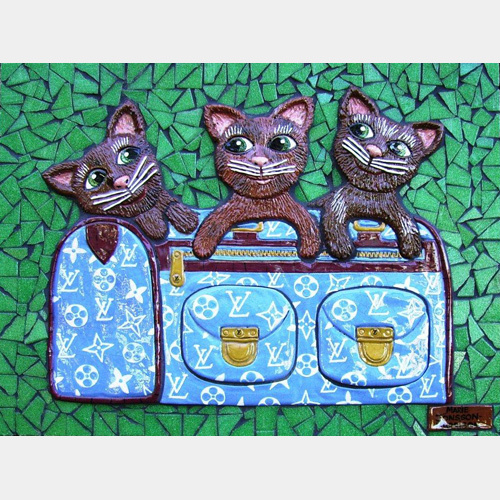 Marie has always painted her subjects in relief which give them a wonderful 3 dimensional feel, from this her Ceramic and Mosaic works were born. 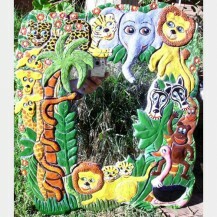 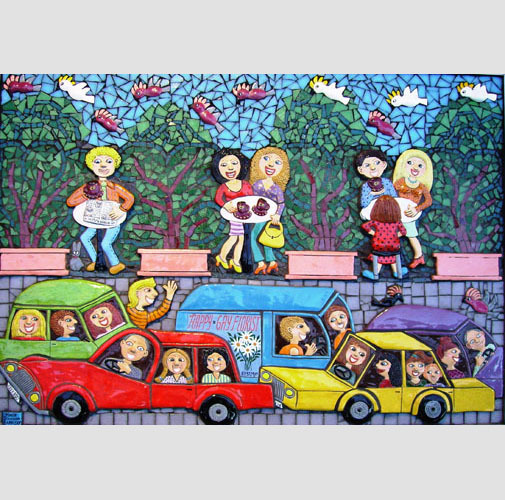 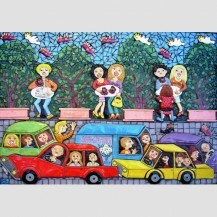 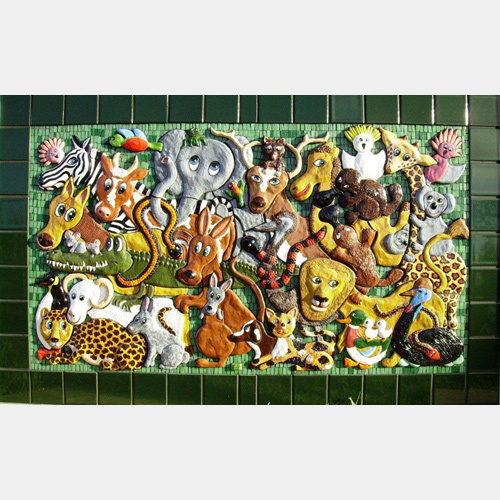 They are classified as OUTDOOR ART, as they can be hung both inside or outside, handmade ceramic figures which are very bright and colourful are placed onto weather proof board creating beautiful 3 dimensional artworks combined with mosaic tiles. 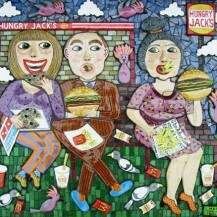 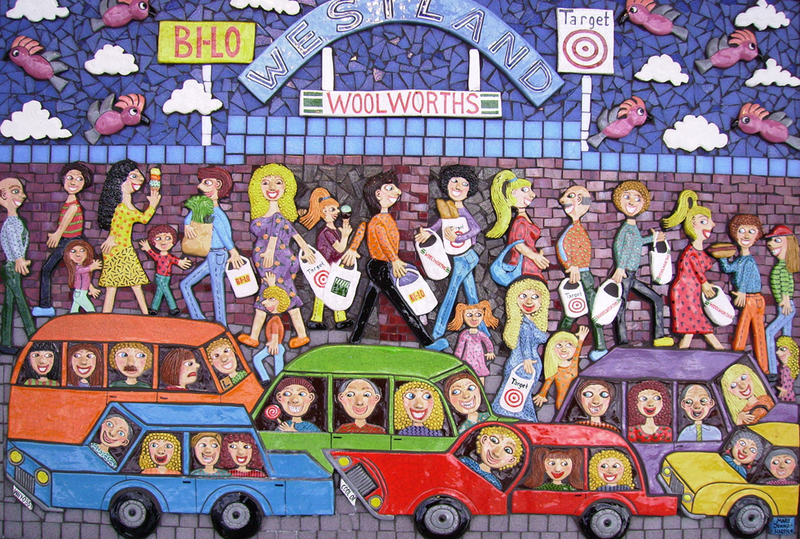 110cm x 80cm - CERAMIC AND MOSAIC "SOLD"
Snack Attack at Hungry Jacks "SOLD"